Muskerry News | Well done Catherine! What can we say about the force of nature that is Catherine Healy? Catherine, from Blarney, spent an enormous amount of time last year fundraising, campaigning and listening, in her one woman campaign to spread the wonderful message of help and hope. That there is help. That you are worth it. That Pieta House are ready and waiting to help you. 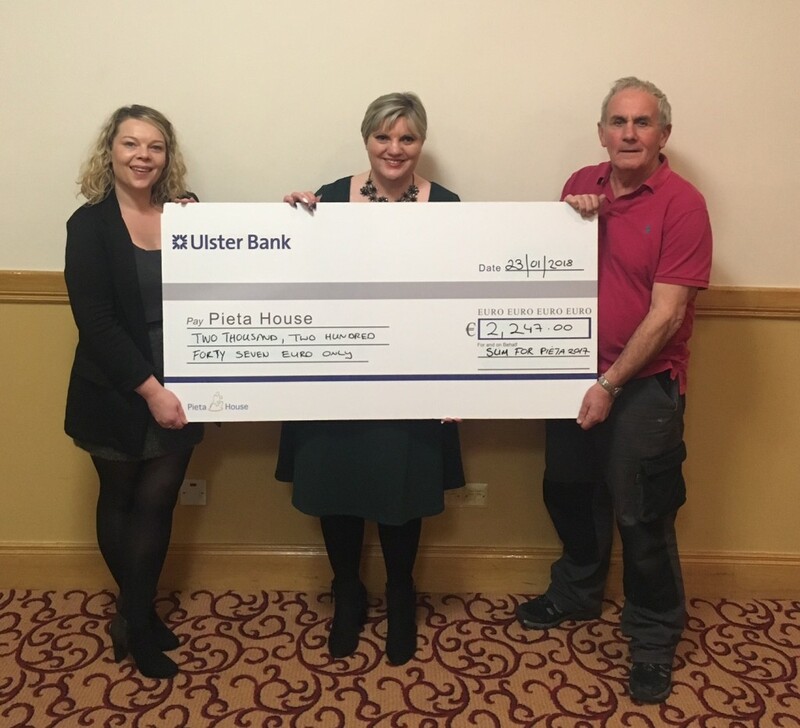 Catherine, through her Slim for Pieta, raised an incredible €2247 and is pictured here today with Angela Horan, Pieta House, and Martin O’Shea, Darkness into Light Blarney, presenting a cheque to represent the funds she raised last year.